This workshop is ideal for the artist looking to be able to paint realistic and vibrant, floral portraits in watercolour. A step-by-step floral project will be the focus of the workshop with demonstrations, one-on-one interaction with students and detailed instructional handouts. The workshop will cover watercolour painting techniques, colour theory, the drawing process, composition, and how to transfer the drawing and prepare it for painting. 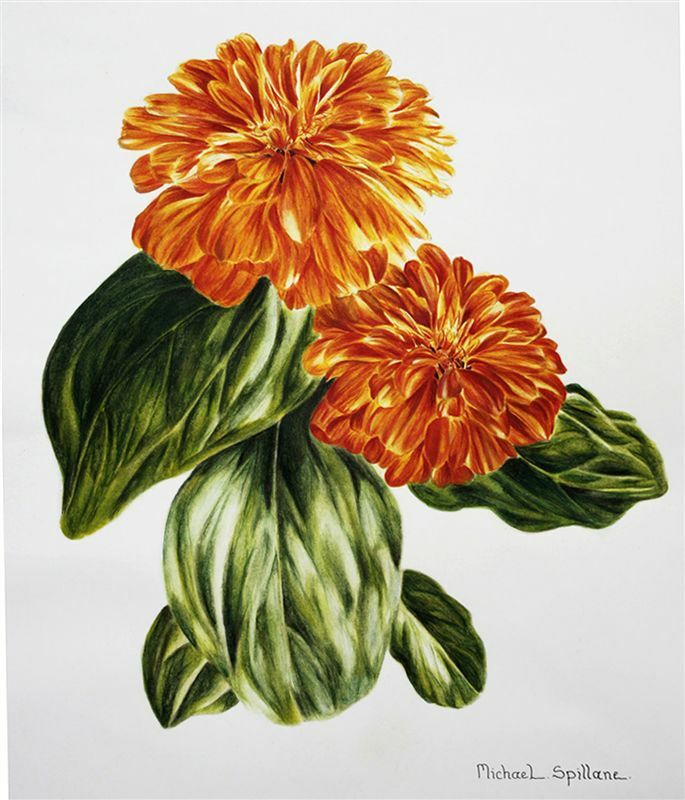 Various studies and exercises will lead up to the completion of a finished watercolour floral painting. Day one: Establishing the drawing, transferring and preparing it for painting; various drawing and watercolour exercises will be explored. Day two: Will continue with exercises relating to mixing and matching colours and exploring various techniques used in realistic botanical painting.